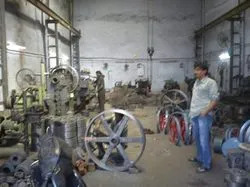 Established in the year 1984, Metro Industries has emerged as a leading manufacturer, suppliers, and exporter of a vast collection of Gear Box, V-Belt Pulley, Geared Motor, Industrial Couplings, etc. 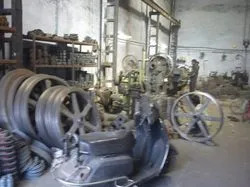 Our product series encompasse Worm Gear Box, Reduction Gear Box, Worm Reduction Gear Box, V Belt Pulley, Helical Geared Motor, Three Phase Geared Motor, Chain Sprocket, Muff Couplings, Pin Bush Couplings, Cement Concrete Mixer Machine and much more. Which are manufactured in accordance with the predefined industry standards and norms. Such essential attributes of our products include durability, dimensional accuracy, high tensile strength, resistance to corrosion, superior functionality and much more. With such advanced machines and quality-oriented approach, we have been able to expand our reach to not just national, but international markets as well. For achieving maximum satisfaction of our clients spread across the length and breadth of the world, we offer our product range at highly competitive prices and accept the payment for orders through flexible modes and terms. Under the able guidance of our mentor, Mr. Mitesh Patel, it has become a smooth ride for us to grow from a budding organization to a leading name in the world market. A man of knowledge and skills, he has always instilled positivity in the team members and encouraged them to work to their utmost. 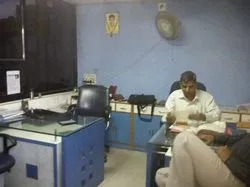 It is owing to the transparent business deals conducted by him that we have won the reliance of our clients. Manufacturing & Trading of Gear Boxes and Parts. Considering the fact that the team is the innate strength of an organization, we have adopted a strict interviewing procedure for the composition of our workforce. It is only after judging the candidates properly on their knowledge, experience and skills that they are shortlisted to work for us. Professionals comprising our team are determined to work with their utmost diligence in order to meet the distinct needs of our clients. Furthermore, they are well-versed with the latest techniques and methodologies that enable them to work in tandem with the changing market trends. It is owing to the hard work put in by them that we have been able to carve a distinguished niche for ourselves in the global markets, and maintain cordial relations with the clients. We had entered the market of industrial supplies some 26 years ago with the motive of achieving a reputable position in the global industry. Over a period of years since our inception, we have not just succeeded but also shown a consistent growth in our particular domain. 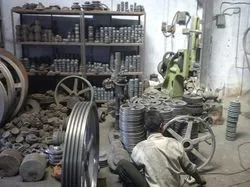 With our excellence in the domain of offering Worm Reduction Gear Box, Split Groove Pulley, Cast Iron V Belt Pulley, Taper Lock V Belt Pulley, Idler Chain Sprocket, Brake Drum Gear Couplings and much more. We have earned a respectable position in local as well as international markets, and have carved a niche for ourselves by outgrowing our competitors.